Pipelines are the lifeline of ships. 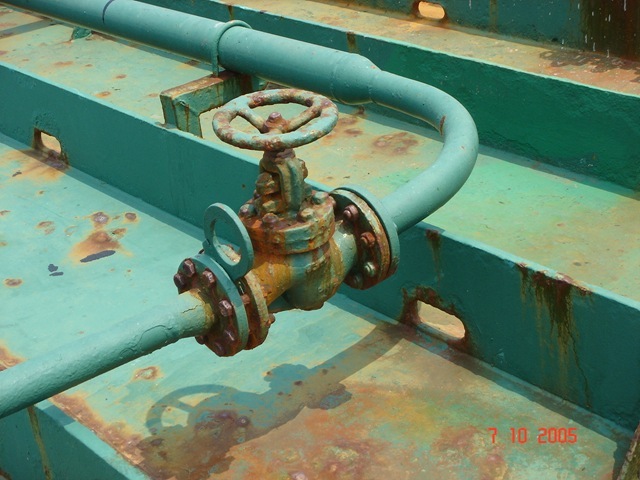 As most of the pipelines are made of ferrous material, pipe surfaces are required to be protected against corrosion. Painting of the pipelines is necessary to protect the pipelines. 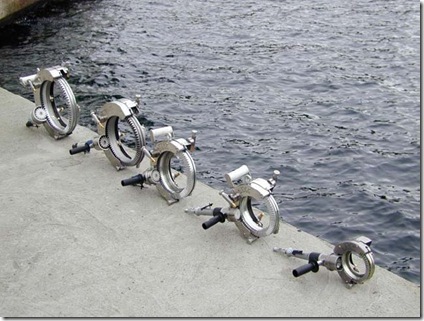 Merely painting the pipe surface without surface preparation is of no use. Surface preparation standards are laid down by institutions like Steel Structures Painting Council (SSPC), National Association of Corrosion Engineers (NACE), Swedish Standards Institution (SA), International Organization for Standardization (ISO). Surface preparation can be done in different ways depending on the requirement. The methods are briefly given below and these methods are not limited to pipe surfaces alone and is applicable to all ferrous structures. Solvent cleaning (SSPC-SP 1): this involves removal of oil,grease,dirt and salts from the surface by using solvents,emulsions,cleaning compounds,steam. Power tool cleaning (SSPC-SP 3): this involves removal of rust scale, loose rust, loose paint by using power wire brush, power impact tools, power sanders, power griders in addition to removal of oil,grease,dirt,salts. In this method buffing and polishing to smooth finish must be avoided as paint will not stick while painting after cleaning. Commercial blast cleaning (SSPC-SP 6/NACE No.3/SA 2.0): this involves removal of rust scale, rust, paint and other foreign particles by using abrasives propelled through nozzles or centrifugal wheels. The cleaned surface would be completely free from rust scale, rust, paint and other foreign particles. At least 67% of each square inch of the cleaned surface would be free from all visible residues. 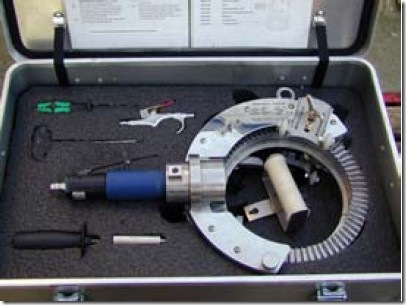 Brush off blast cleaning (SSPC-SP 7/NACE No.4/SA 1): this involves removal of rust scale, loose rust, loose paint and other foreign particles by the impact of abrasives propelled through nozzles or centrifugal wheels. 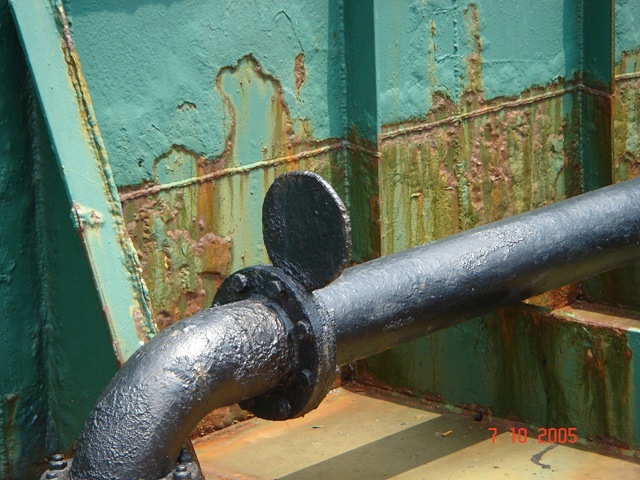 The cleaned surface would be free from loose rust, loose paint but tightly adhered rust, paint, coatings are permitted subject to adhesion and bonding of paint to be applied. Near white blast cleaning (SSPC-SP 10/NACE No.2/SA 2.5): this involves removal of rust scale, rust, paint and other foreign particles by using abrasives propelled through nozzles or centrifugal wheels. The cleaned surface would be completely free from rust scale, rust, paint and other foreign particles. At least 95% of each square inch of the cleaned surface would be free from all visible residues. SSPC-SP 11: This meets the requirement of power tool cleaning to achieve a bare metal surface and to retain or produce a surface profile. 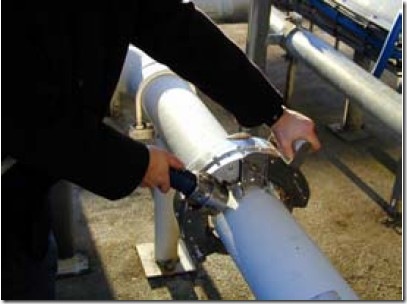 In the above methods of surface preparation, #3 method power tool cleaning can be easily done in the ships by Rustibus pipe series. Here are some photographs of Rustibus pipe series. Click here or below to view a video clip of Rustibus pipe series in action. Good article and especially liked the video, looks like a fantastic product. 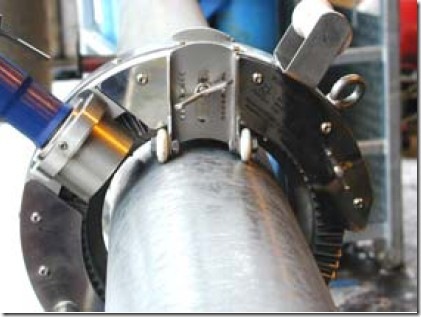 Just for future refrence, does the Rustibus pipe series generate heat?